Recently went to Mendocino and had a great customer service experience there. I’ve lived in California all my life so I’m embarrassed to say this was the first time I had traveled up Highway 1. Amazing!!! I highly recommend it. It’s a drive you will never forget. 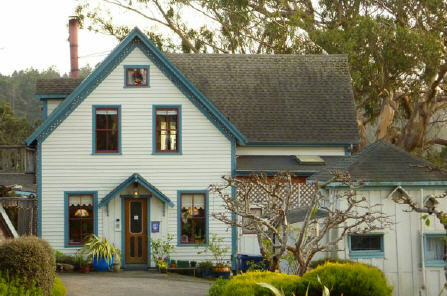 The trip was kind of last-minute so we didn’t reserve a room in Mendocino. I had heard the Blue Door Inn was a great place to stay so I called them first when we arrived and left a message to see if they had any openings. While we waited for a returned call we kept looking for a room and stopped by the Alegria Inn. The sweetest couple was at the front to greet us. Unfortunately they were full, but the lady said she would call around for us. WOW! I was impressed! She didn’t have to do that and I even told her she didn’t have to go out of her way but she said it wasn’t a problem and it was super easy for her. She made about three calls and I loved how she knew each innkeeper’s name and they knew her. That’s a great tip to keep in mind: Be friends with your competitors so you can help each other out. By the third call she had a room for us at the Joshua Grindle House . We thanked her over and over for helping us. She saved us so much time by making those calls for us. Because she did that I will want to try the Alegria Inn. She left a great impression on me. If she did that for people that aren’t even her customers, I would imagine she’s even more amazing to her customers. Oh, and the Blue Door Inn did return my call but the message they left was they have three inns and they didn’t know which one I was asking about and left three 1-866 numbers on my voice mail. A simple, yes we have room in one of our inns would have been a better way to get a return call from me. All the phone numbers she left made the message long and hard to listen to. On my next post I’ll tell you more about our stay at the Joshua Grindle House. * This post is my personal opinion and experience.